My introduction to gardening was through the pages of seed catalogues. As a young child I could sit for hours looking through the pages of colourful annuals, later cutting them up to make garish collages. Suttons, Dobies, Mr Fothergills or Unwins, I was neither fussy nor discerning. Fortunately none of those colourful creations survive to haunt me, but I still look forward to the seed catalogues coming through the post every autumn. By the time I reached my teens, I was regularly spending over £100 a year on seeds, which at the time was a lot of money. I was given a small greenhouse as a birthday gift by my parents, which was never as big as my ambitions and routinely exploded with little green plantlets. This is a lesson I have never learnt. Every year I buy more seeds than I really have space to grow properly. More than anything I yearn for the space to grow seeds, strike cuttings and shelter tender plants under glass. There is nothing like the smell of a greenhouse, or the sound of rain on the glass as you shelter inside. Cheirianthus (Wallflower) ‘Treasure Bronze’ – I find the scent of wallflowers utterly irresistible, so the fact that this variety flowers in both autumn and spring is a massive bonus. It’s intended to tone in with my favourite tulips ‘Queen of the Night’, ‘Recreado’ and ‘Princesse Irene’. Nasturtium ‘Crimson Emperor’ – when I replant the garden next year I am hoping to create a few pockets for annual climbers and scramblers. The deep red of this Nasturtium should look really striking growing through silver leaved Melianthus melifera. 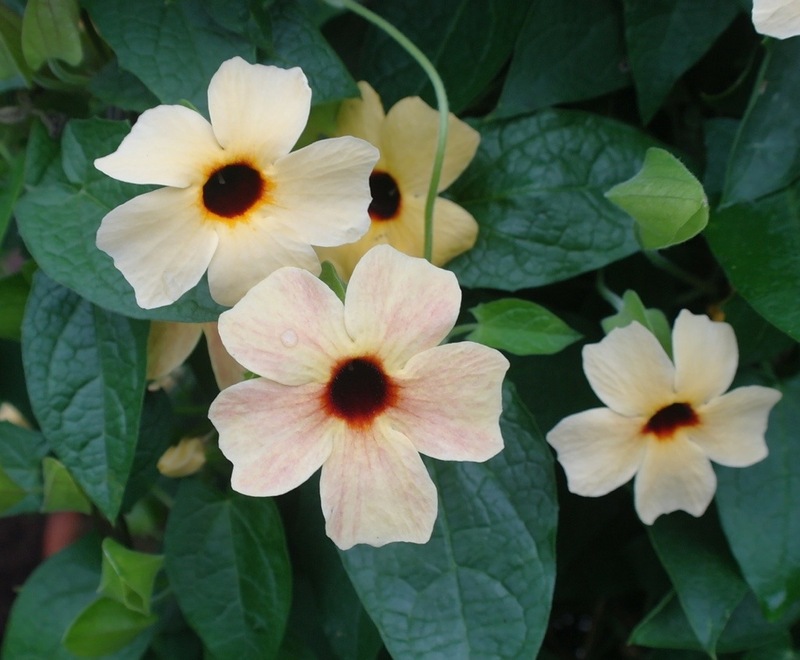 Thunbergia ‘African Sunset’ – I’ve tried a number of Thunbergia over the last few years, but this one is my favourite. It has large, furry leaves and lovely flowers in all the shades of a beautiful sunset. It’s also incredibly easy to grow, and the snails seem a bit uncertain as to whether they like it or not, so they they take a few bites and then leave it alone. Geranium maderense ‘Guernsey White’ – the last few winters have been a complete disaster for this tender perennial and I would be all for giving up, were this not one of the prettiest of all geraniums. I have never succeeded in getting the white form to flower before the frost gets it, but one day I will triumph. 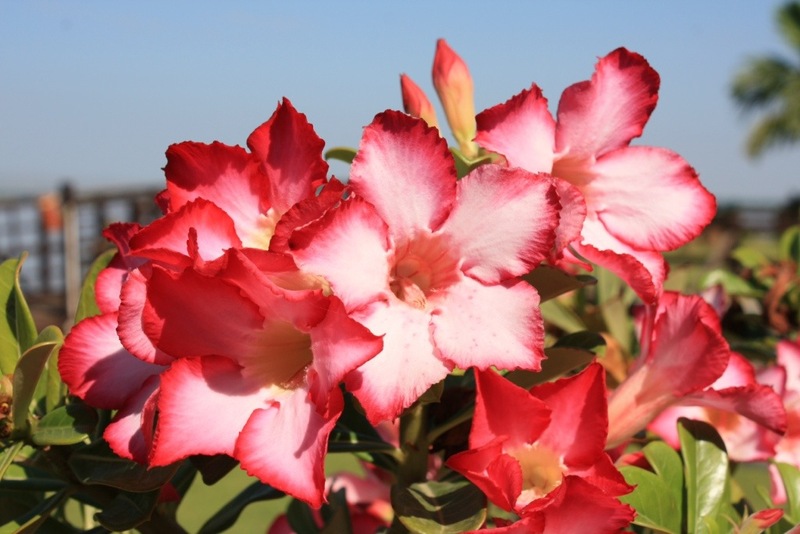 My wild card this year is Adenium obesum ‘Thailand Beauty’. This odd little plant with its bonsai-like frame is allegedly easy to grow from seed. We saw lots of them in Burma so I’m hoping to recreate a bit of that holiday magic next year. 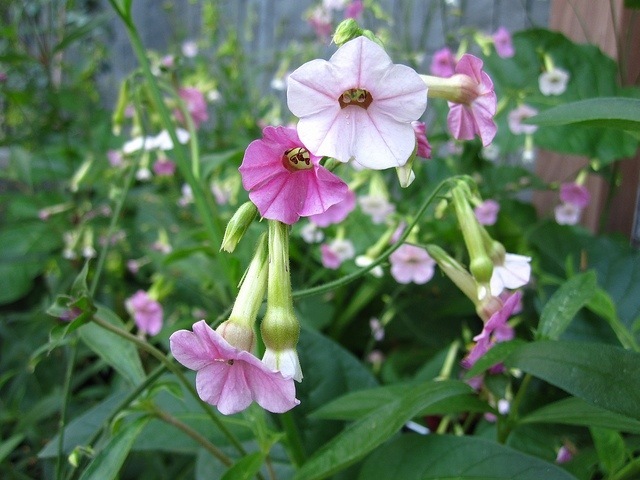 If successful, these will make good plants to give away as gifts, being both unusual and colourful. They are also poisonous, but best not to draw too much attention to that! This feels like a relatively disciplined and discerning list compared to normal. Last year our dining room looked a bit like the set of Jack and the Beanstalk by May, so I will leave it as late as possible to plant each packet, reducing the time the seedlings need to spend indoors. We can then enjoy our meals without the possibility of being clambered over by marauding morning glories.